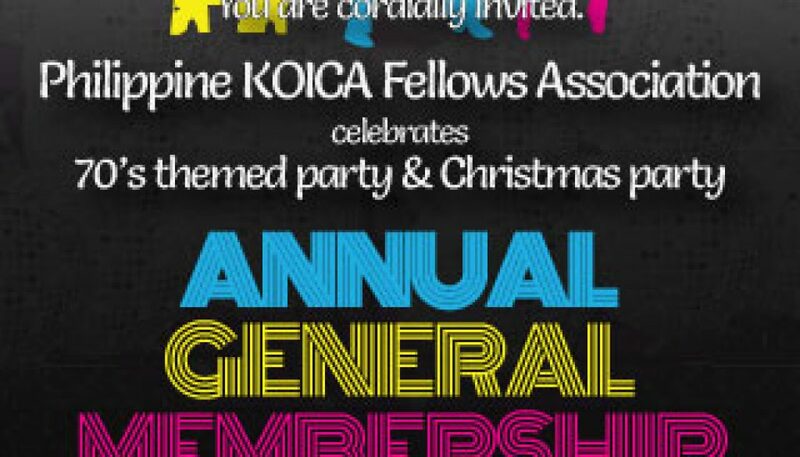 Annual General Membership Meeting and Christmas Party – November 17, 2018 – Philippine KOICA Fellows Association, Inc. The Philippine KOICA Fellows Association, Inc. (PHILKOFA) is the alumni association of the participants to academic and training courses, workshops, seminars, and other activities sponsored by the Korea International Cooperation Agency (KOICA) in the Republic of Korea. ©2018 Philippine KOICA Fellows Association, Inc.